Things move slowing here with our Little League, but the kids finally were able to get a couple of games in. Their first game was rained out, but we scrimmaged the Angels the next night to make up for it. The scrimmage went well, and we got all the kids through the batting order twice. 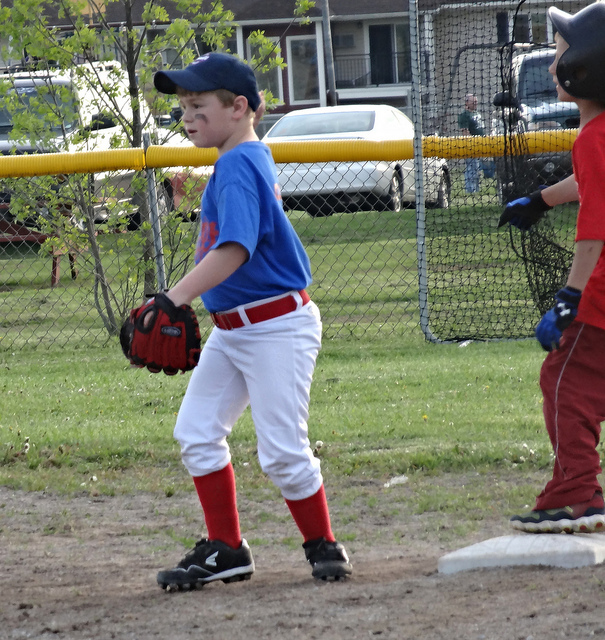 Brian did well, and made a great play at first base. Last week we got our first ‘real’ game in, as the Cubs took on the Tigers. 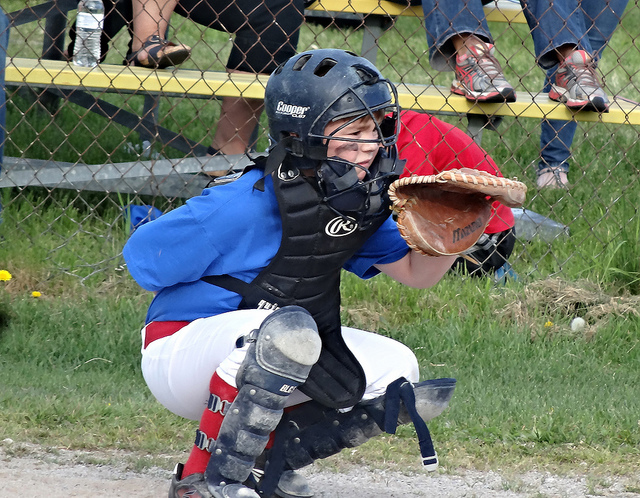 Brian got his first taste of playing catcher, as well as some other infield and outfield positions. We try to give the kids a chance to play a different position every inning, so they can experience each one. 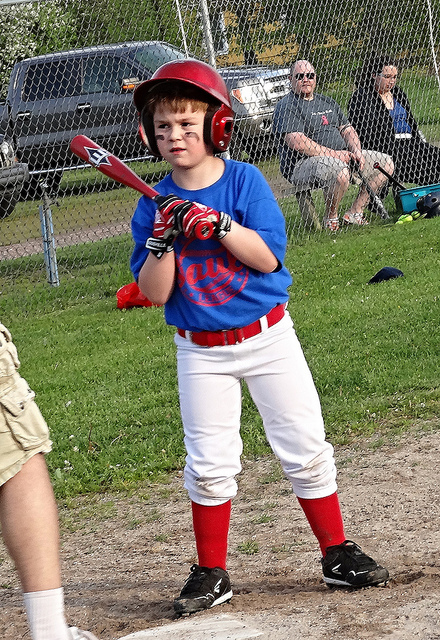 He also ripped a double in his only at bat, and made a nice play at the hot corner. No game this week, but looking forward to some good practices and next week’s game. I like that you let the kids play different positions … not all coaches are so thoughtful. 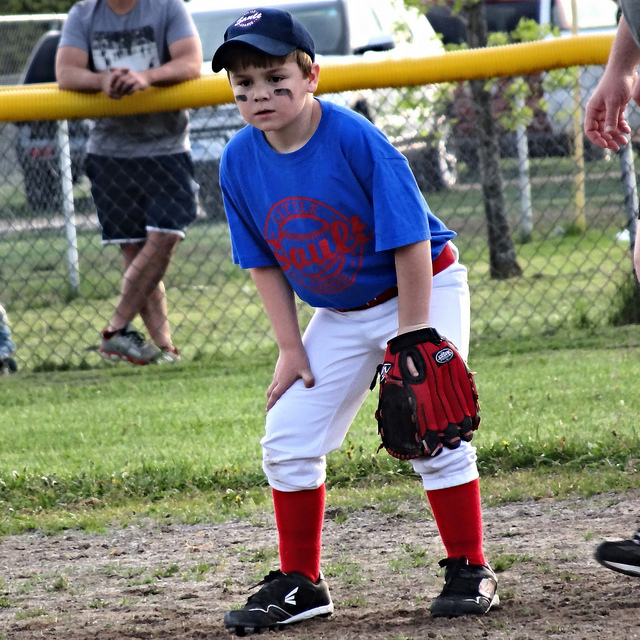 It’s really a time to let kids figure out where they “fit” in baseball and having the opportunity to try all the spots is how they learn the nuances of the game. At this level, it’s all about fun and learning. If the kids aren’t having fun, then they might not play next season, and we really don’t want that. You’re right, it’s important to find what position is the best fit for them, and gives us a better idea of the teams strengths and weaknesses. Thanks, Maria! I appreciate that.